At Loughner & Loughner we help people through some of the most difficult and trying times they may ever experience in their lives. Almost nothing is more devastating than divorce or bankruptcy, and we are here to help, offering assertive representation at affordable rates. Copyright 2011 by Loughner & Loughner. Loughner & Loughner is a federally designated debt relief agency. We offer assistance to people with debt problems, including, where appropriate, filing for bankruptcy relief under the U.S. Bankruptcy Code. Serving clients throughout Sonoma, Lake and Mendocino Counties, including, but not limited to, the cities of Cloverdale, Healdsburg, Windsor, Santa Rosa, Rohnert Park, Cotati, Penngrove, Petaluma, Sonoma, Sebastopol, Bodega, and Occidental. 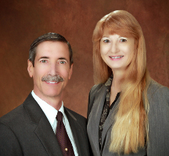 We are attorneys licensed to practice in the State of California.